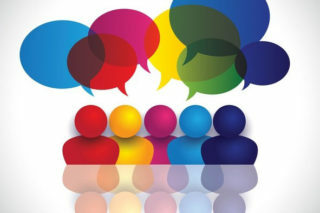 Whether you think it a good or a bad thing, the fact of the matter is – “they don’t make movies like they used to.” If you’ve ever found yourself uttering those words, then you should be leading the parade of the thousands who opt for the shelves of DVDs that are not displaying New Releases. 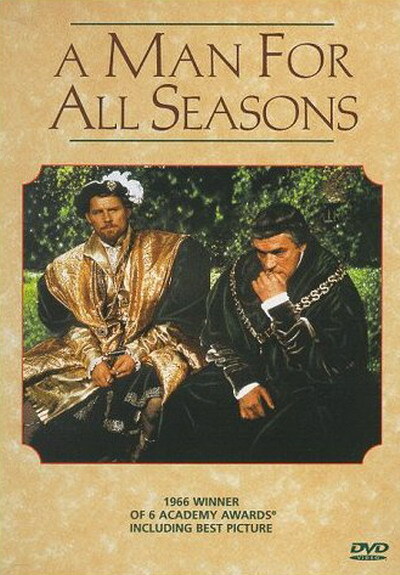 A Man for All Seasons is a based on the life of Sir Thomas More who was martyred in the 16th century. Released theatrically in 1966, it is now being re-released on DVD five centuries after the fact. Screenwriter Robert Bolt [Lawrence of Arabia/Doctor Zhivago] adapted his stage play and Fred Zinnemann [Julia/From Here to Eternity] directed this period drama. They trusted the movie going audience to pay attention. Amazing! What’s truly amazing is that the man for all seasons, Sir Thomas More was a principled government official appointed by King Henry VIII. A devout Catholic at a time when the King opted for creating the Church of England for his convenience, More resigned his position of considerable stature and was banished to the Tower of London for his troubles. Bolt’s script does a superior job describing the events and the cast (Paul Scofield as More, Robert Shaw as the King, a very young John Hurt as the traitorous Richard Rich, and Dame Wendy Hiller as More’s wife) never misses a beat. Taking that position cost Sir Thomas More his head. What a politician who never heard of flip-flopping? He didn’t do the politician’s tap dance? He left no room for being misquoted and still paid a price. Wassup with standing up for your principles? Oh, for the good old days ‘cause they don’t make politicians the way they used to. Rent A Man for All Seasons, a movie for any time of year.